Gas cooktops are manufactured by Whirlpool, Maytag and Kitchen Aid. Cooktops from these companies can be purchased online or in store from the Home Depot and Lowe's. 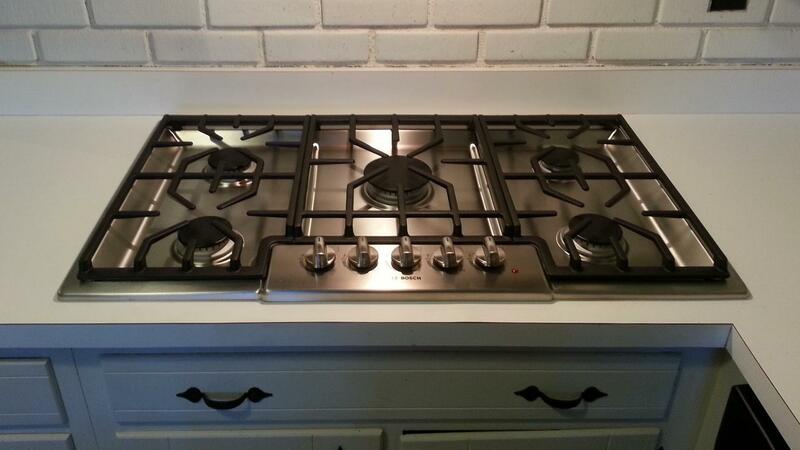 Whirlpool manufactures a number of different gas cooktop models. Many of the Whirlpool cooktops feature SpeedHeat Burners. This design element allows the user to generate high heat rapidly, making tasks such as boiling a breeze. Cooktops with this feature have the ability to produce up to 15,000 British thermal units. Many Maytag cooktops are also able to produce 15,000 Btu. This manufacturer also provides heavy-duty DuraClean technology, which allows pots and pans to move easily on an even surface around the cooktop. This reduces the number of spills, making clean-up time considerably easier. This brand creates cooktops in both stainless steel and black porcelain. KitchenAid cooktops usually cost more than Whirlpool and Maytag, but include more premium features. This company creates cooktops with the ability to produce anywhere from 15,000 Btu to 20,000 Btu. This allows the user to work with professional quality heating. Many models also feature a 5,000-Btu simmer function. A CookShield finish is also offered on many KitchenAid models, which protects the cooktop from any stains resulting from high-heat cooking. Where Can You Find a Whirlpool AccuBake Manual? What Brand Makes the Best Oven?